Help students learn the dangers of drugs, alcohol and tobacco in a relaxed, non-threatening environment. Students can the bingo game play individually or in teams. 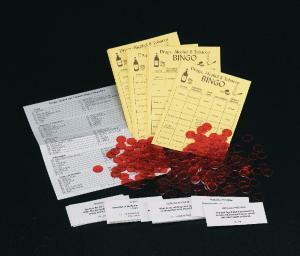 Includes 75 question cards, 30 bingo playing cards, game instructions, master answer key and 300 bingo chips.